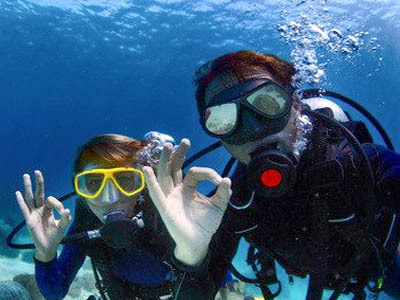 PADI Experience Discover Scuba Diving – Christening – Diving test only at sea. Have you ever wondered what it feels like to breathe underwater? 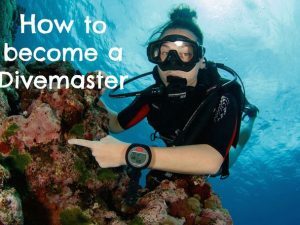 If you want to find out but you are not yet prepared enough to take the leap to a certification course, the Discover Scuba Diving program or first diving test will allow you to try diving to see if you like it. 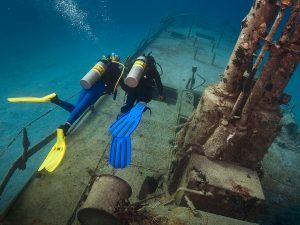 Most PADI diving schools offer a version of this program. You can try it close to home or while on vacation and both in summer and winter. We are lucky to have an exquisite climate and we can dive all year round. Although it is not an actual diving certification, during the Discover Scuba Diving or dive christening experience you will learn how to use shallow water diving equipment and you will receive an easy and quick introduction to everything that is needed to explore the underwater world. 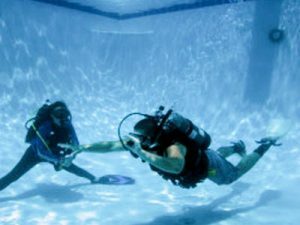 There is nothing like breathing underwater for the first time. It takes some time to adapt – after all, humans are not made to do this – however after a few minutes of breathtaking amazement, most participants realize how simple diving really is. 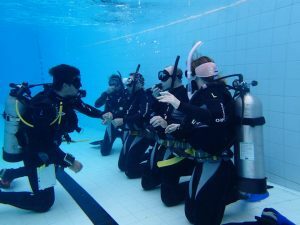 The biggest challenge instructors face is not to encourage participants to go to the water, but to persuade them to leave when the program has ended. The fun part? Everything is fun! You can also get credits! 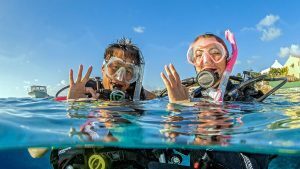 If your Discover Scuba Diving program includes a real immersion in open water, your experience can count for the PADI Scuba Diver or Open Water Diver certification, putting you one step ahead when you decide to do it. Only your disposition and your complete attention. At least 10 years old. 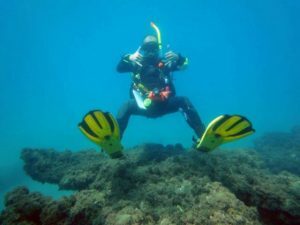 Our diving center is located in the marina of Estepona with excellent access and parking and adapted for disabled, 4 meters from the jetty where we have our boat with a engine of 400CV and capacity for 11 divers. The diving center is equipped with all the top brand material. We try to give you the maximum comfort in our facilities so that you can enjoy diving and your stay in Puerto Deportivo caught by the same passion for Estepona that we have. 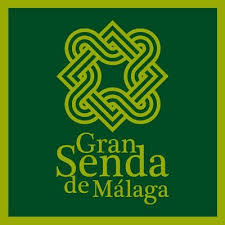 Copyright © 2019 Buceo Estepona. All rights reserved.